The Durand Mark V will celebrate its 40th anniversary this year at Oshkosh 2018. William (Bill) Durand EAA 31262 and his lovely wife Maurine first showed the Durand Mark V at Oshkosh 78. Bill stopped flying his Mark V in 2006 due to age and health after successfully selling 90 odd sets of detailed blueprints. 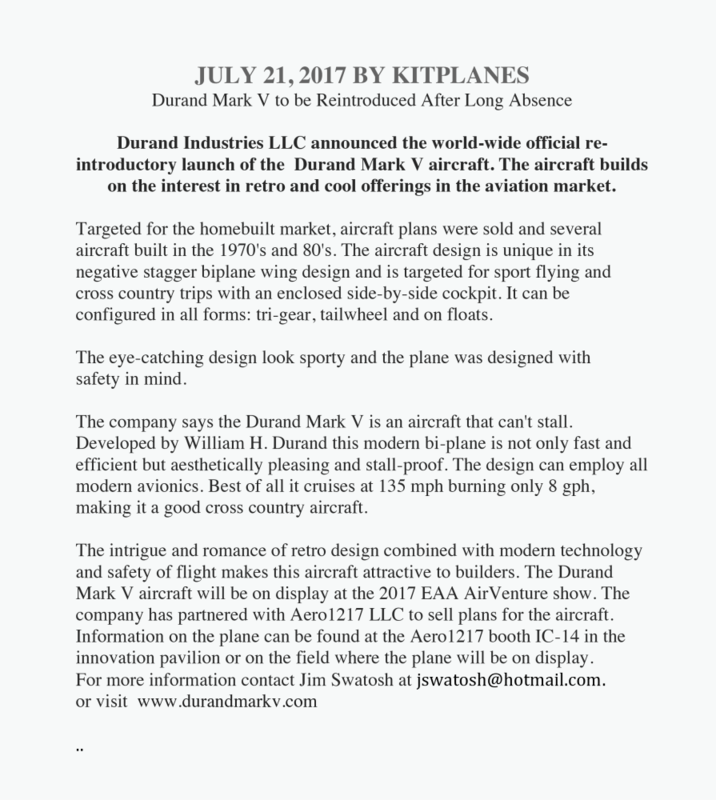 Bill's dream is being carried forward with the Durand Mark V's return to Oshkosh in 2017, the "retro-cool-modern design" was a real crowd pleaser. 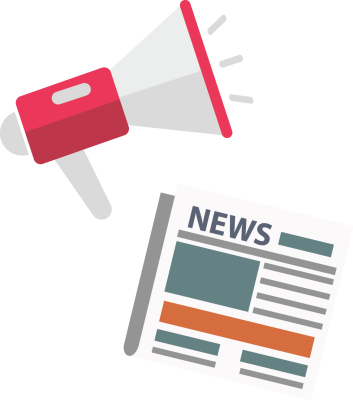 The Durand Mark V will also be sporting a SolidWorks 3D rendering, which will be available for purchase on our website. I believe this is the first SolidWorks 3D rendering of an experimental homebuilt aircraft available for purchase by the general aviation public in the history of general aviation. 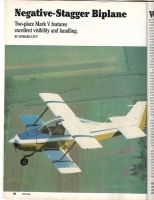 Nationally renowned aviation photographer/writer Howard Levy (1922-2010) wrote an impassioned article about the Durand Mark V that appeared in the September 1986 Kitplanes magazine. 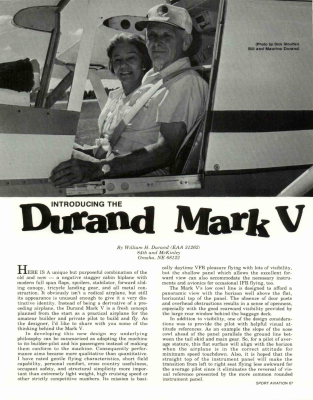 Howard described that the Durand Mark V featured "excellent visibility and handling" The photographs in the article spoke of Howard's passion for aviation. 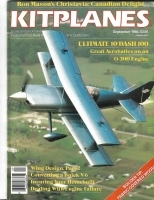 All of Kitplanes historical files prior to 2007 were destroyed in a fire but I was fortunate to locate a copy of the 1986 Kitplane magazine.